In some circles of martial artists, mastery of the jian is regarded as the penultimate expression of physical technique. Indeed, many martial arts still train with the jian, and no better way to train than with a Wooden Tai Chi Sword. 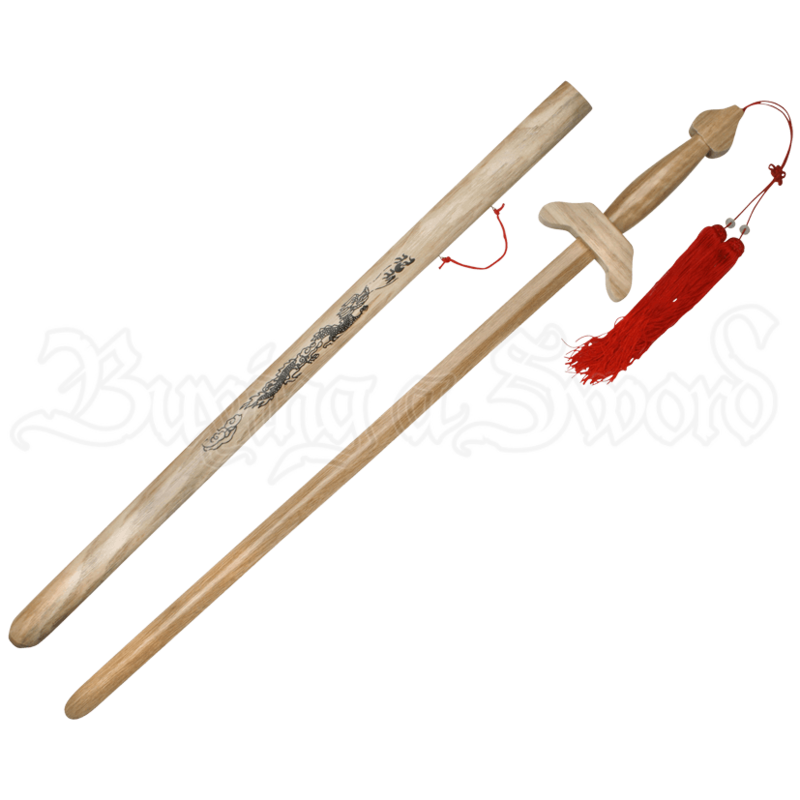 Pre-dating most martial arts, the jian is an extremely old style of blade that has been used in forms of combat throughout China for centuries. The effectiveness and ability of the blade allow it to adapt and be used in many different ways. This wood jian has the typical form. The blade is straight and double-edged, although as a wooden sword, no actual cutting edge exists. The guard is broad and possesses a marginal upward curve, and the grip is slightly convex, swelling slightly outwards, to provide a secure fit into the palm. While not a requirement, the wooden jian also has a red tassel attached, as a form of decoration. Like any other skill, sword-fighting takes practice and effort to learn. Practice can be well-spent when done with a proper weapon, like the Wooden Tai Chi Sword.